Founded in 1963 by legendary violinist Yehudi Menuhin, The Yehudi Menuhin School is a specialist music school based in Surrey. Its purpose is to provide an environment and tuition for musically gifted children from all over the world to develop their musical potential. Part of the facilities include The Menuhin Hall which is frequently used for live performances. The School recently decided to upgrade the chandelier lighting within the Hall and approached White Light to deliver the installation. The project was overseen by WL’s Installation Project Manager Stuart Bourne. He comments: “We have a great relationship with The Yehudi Menuhin School and installed their original chandeliers over ten years ago. That said, technology has advanced so rapidly in recent years that the School were looking to upgrade to a more robust solution”. WL installed the original chandeliers based on Anne Minors Performance Consultancy’s design and once again collaborated with Anne Minors over the Dialux images prior to this latest installation. As part of the initial planning stages, Stuart and WL’s Business Development Manager Antony Vine made a site visit to the School to assess the space. Stuart comments: “Due to the acoustic requirements of the Hall, the ceiling is extremely high. What this meant was the chandeliers were hung roughly 12m in the air. The DMX and power were run through this cable and we wanted to create a system where we didn’t need to re-cable”. To achieve this, WL specified a brand-new ArchPro Wireless GDS lighting system. This would be driven via a wireless transmitter that would sit near the control room and communicate to a driver installed in each chandelier. Stuart explains: “On each chandelier, there were originally eight fluorescent uplighters installed. These were each replaced with a GDS Pro One-Cell Small Yoke. The Yokes are compact and feature robust single cell enclosures, ideally suited for short/medium throw illumination”. Alongside this, WL installed GDS Pro Four-Cell Round Downlighters as part of the chandeliers. These are a compact Four-Cell enclosure ideally suited for medium to long throw applications. Partnered with the Four-Cell for coverage over the stage and balcony areas are the GDS Pro One-Cell Large Yoke. 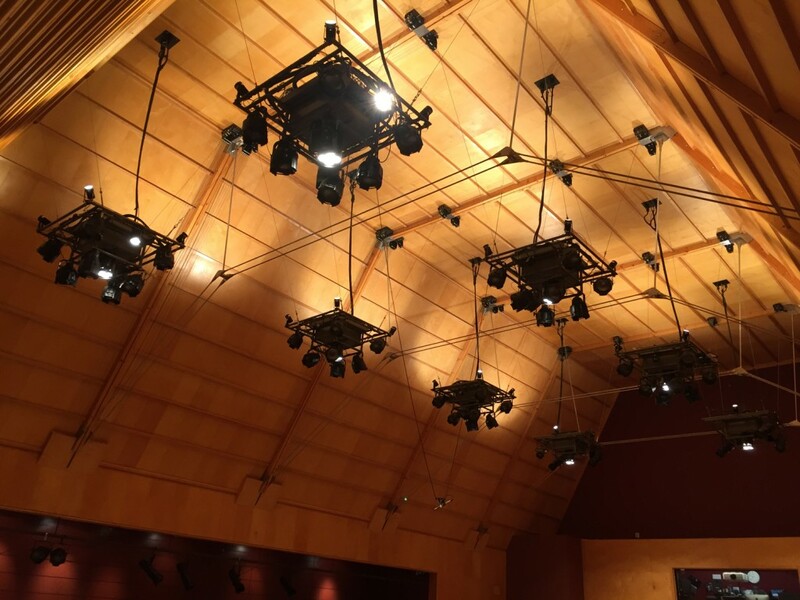 For The Menuhin Hall, they were used specifically to light up the seating areas and offer full coverage. All of this was controlled via a TX1 Wireless Transmitter. The TX1 takes a standard DMX signal and wirelessly transmits intensity data to each ArcSystem fitting. It provides a reliable control mechanism which minimises installation time and cost. Sarah Hill and Steve Turner from the WL Technical Service team had the task of programming and commissioning the GDS system to integrate with the current ETC Lighting Control Desk. This included dedicated control of the down lighters which was an important factor for the Hall. WL also installed emergency lighting fittings which integrated with the new GDS lighting system. This consisted of four LED Twinspot IP65 Units. The Units each feature two LED lamp heads with independent horizontal and vertical adjustability and are designed to only activate when there is a loss of mains power. Prior to the installation, WL spent two months pre-planning and obtaining the various fixtures required. The team of six then spent a week on site installing the new set-up. The WL Team (from L – R): Paul Watson, John Woodcock, George Woodcock and Stuart Bourne. The installation is now complete and the Hall has already been used for a range of student performances. Stuart comments: “Our work at The Yehudi Menuhin School marks another example of what our Installations Team can offer to venues of all sizes, each with specific requirements. As a company, we are able to draw on the very latest technology along with expert staff to ensure that we offer a full-proof solution; as we did once again on this occasion”. 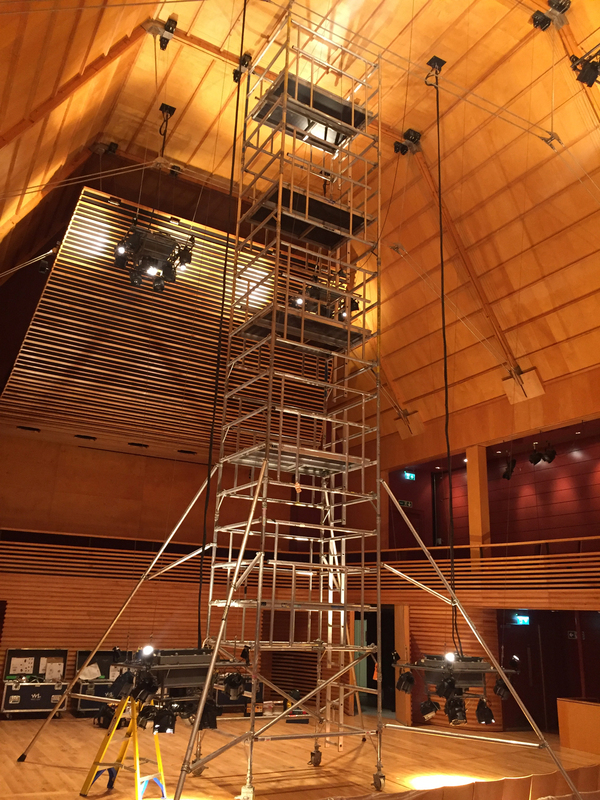 Alice Benzing, Manager at The Menuhin Hall, states: “The entire WL team was friendly, efficient and professional throughout this installation. The new LEDs provide even coverage and are fully dimmable. It’s given the Hall a new lease of life, and visitors have commented on how beautiful it looks now when lit. We can’t thank WL enough!”. 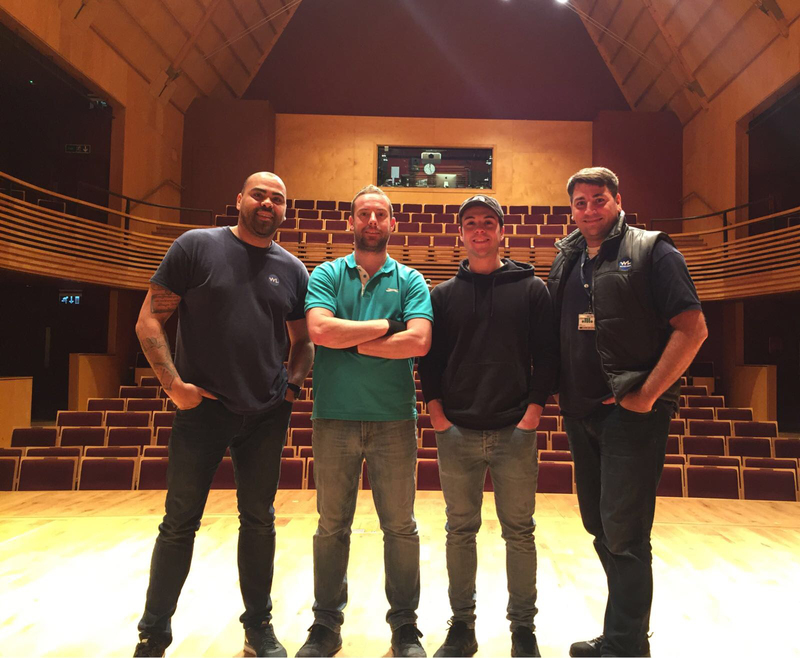 Brian Fifield, Technical Manager at The Menuhin Hall, adds: “The Menuhin Hall new LED houselights is the project that has been the most welcome to me as the Technical Manager. The WL team has done an amazing job – the new lights have given the auditorium that freshly-built look all over again”.